Tammy Lessick loved her job as a bookkeeper. But when her son, Dean, was diagnosed with autism, she decided to quit work to take care of him. "Between all his doctor's appointments and the time I would have to take off when he was sick, it just wasn't working," said Lessick, who lives in Sanford, N.C., with her husband and two children. "It was difficult, but my husband and I decided that we needed to do what was best for our son." Between Lessick's lost earnings and Dean's special needs, the family struggles to make ends meet. "There are times when we get frustrated and kind of sad," Lessick said, her voice shaking. "The beginning of the year is easier on us because of the tax money we get back. But by midyear, we're resorting to using credit cards just to buy groceries. Towards the end of the year, we find ourselves having trouble getting food in the house." It's a common predicament for mothers of autistic children, who earn 56 percent less on average than the mothers of children with no health limitations. They're also 6 percent less likely to be employed, according to a study published today in the journal Pediatrics. The income cut compounds the economic burden of autism, a condition already fraught with out-of-pocket costs. 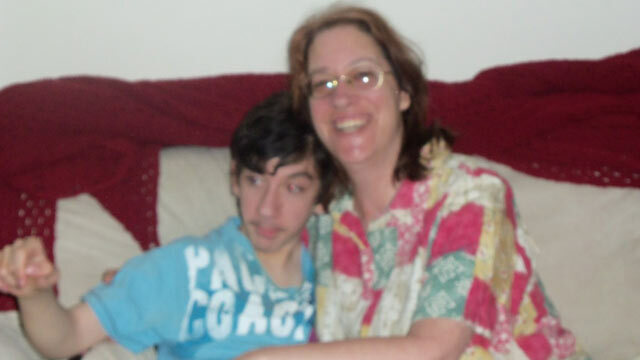 Autism services are hard to come by where Lessick lives, for instance. "It's very isolating taking care of a special needs child, especially a child with autism, in a small town," she said. "There's not a lot of support out there, not a lot of families in the community that you can try to connect with. In a big city, there might be more options. But not here." Lessick said she doesn't regret her decision to stay home and care for Dean, who is now 13, but she does miss working. "I miss interacting with adults. I miss being able to contribute the way I used to," she said. "I used to work all the time, used to support myself all the time. When you go from doing that to not, it's tough." Many mothers of children with autism, including Lessick, are well-educated, Mandell said. "They need the flexibility to do these things and still be a contributing member at their place of employment," he said. Laurie Roiger of Minneapolis, Minn., stayed home for five years after her son, Braydon, was diagnosed with autism. When she went back to work, her husband stayed home. "We basically lived on one income for 10 years," she said. "It took a lot of planning to do that." But Roiger's husband is now going back to work. "My boss is going to let me come in 40 minutes later so I can get Braydon on the bus," she said. "That really helped. I think we're much more calm about whole thing now that I can be there in the morning." +Which Kids Will 'Grow Out' of Autism?